I’m looking to build a new rig that is somewhat of a downsized rig that is a bit more portable - with a view to start playing live again. My current rig is a marshall jmp1 preamp and 100 watt dual monoblock el34 beast that weighs too much! In a few months I will be buying a 50w lunch box head and will hopefully have a small rack for a handful of pedals! Which leads me to my question. Im on a tight budget with regards to modulation pedals. 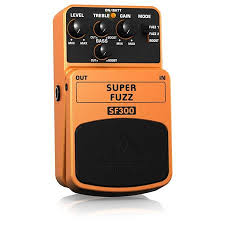 Can anyone suggest any good but affordable pedals that would be uses in a cover band situation? I’m happy to use mini versions of pedals to save space and the sort of music I would love to play ranges from classic rock/hard rock/metal, the Police, Genesis, some blues, Van Halen, Rush to modern pop rock/indie, and modern metal. Delays and reverbs are already catered for and the the rig can take advantage of midi/ switch jack features that effects may have as a big bonus. True bypass is not essential as I will be switching them in and out in loops. I’m not a gear manufacturer snob, so happy to go cheap IF IT SOUNDS GOOD! for my money the Joyo stuff is great. I have a bunch of their distortion/fuzz pedals etc. The JF-02 ‘Ultimate Drive’ one is pretty great sounding IMO. 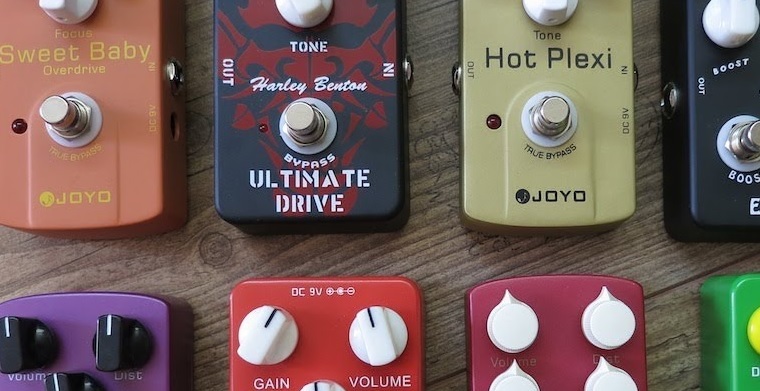 We here at TONESTART have compiled a comprehensive list of the corresponding guitar effects pedals JOYO have gone and based their products off. Cheers bud, I’ll take a lookie! Honestly, with a good guitar and a good amp, which you have, you really don’t need much more to gig. Back when I DID gig I never gigged with a pedalboard, and if I were to start again I wouldn’t use moree than a delay in the loop. On a tight budget I’d just get out there with what you have! Oh definitely. Reverb, delay and a good core tone will get you through 90% of a gig, but that being said, I can’t imagine ‘Walking on the moon’ by police without a flanger on those sus chords! Know what I mean? I watched this yesterday, really interesting! At least worth picking up some Behringers for those pedals that you wouldn’t normally use, some if them sounded great!